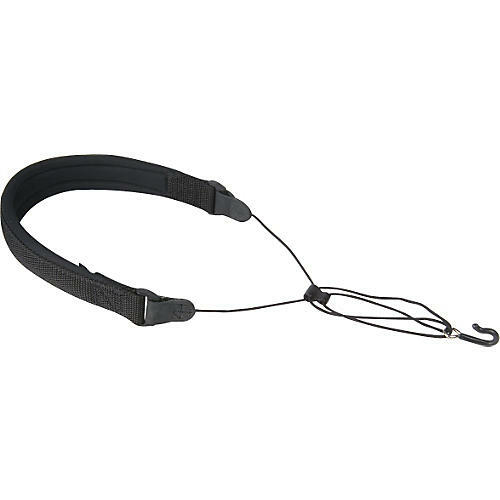 The Wick-It Covered Metal Hook Sax Strap from Neotech introduces a revolutionary design in saxophone straps. The Wick-It Sax Strap uses a high-tech memory foam pad which conforms to your neck and shoulders and creates a comfortable fit. The material is antimicrobial and allows moisture to dissipate. You get a comfortable and secure non-stretch strap that makes playing even for long hours under hot lights much more enjoyable. The tailored design appeals to users of all playing abilities and the comfort is truly unique. The Wick-It is sure to be one of your favorite saxophone straps! Made 100% in the U.S.A.